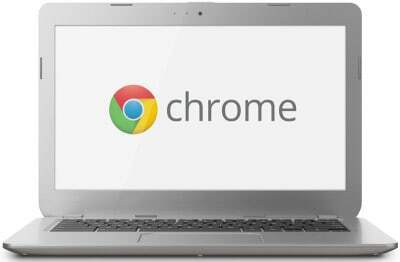 We recently published a guest article about Chromebooks for business on a technology blog called Tech Patio. Luke Bragg provided his expert IT consulting advice regarding how these inexpensive machines may be suitable for some small businesses. For High Ridge House, a provider of Christian Science nursing care based in the Bronx, New York, keeping up with technology changes and evolving health care legislation issues had become challenging to handle on its own. With fewer than 50 employees on staff, it didn’t make sense to hire a full-time information technology (IT) expert, so the nonprofit organization decided to outsource its IT needs to Anderson Technologies, a St. Louis IT consulting company. The partnership exemplifies two growing trends: the rise in outsourced IT services for small businesses as opposed to hiring a firm to “put out fires” as needed and the use of remote technology to make long-distance work relationships possible. Taking an ongoing, active approach to information technology, including IT security, allows small businesses “to get out ahead of issues rather than just react to them when problems occur and to have a plan in place to solve them quickly should they arise,” explained Virginia Hughes, Assistant Administrator at High Ridge House. For High Ridge House, taking a complete, long-term view of IT allows it to run its business reliably and securely, stay Health Insurance Portability and Accountability Act (HIPAA) compliant, unlock cost-savings, and improve its guests’ ability to communicate with loved ones. Before choosing a partner, the High Ridge House team met with three qualified outsourced IT services companies, including a local firm. Anderson Technologies made this short list because Hughes previously worked for one of its clients in St. Louis who was pleased with the collaboration. Hughes admitted they had some initial concerns about a remote relationship, “but because I work from home in Boston half-time, I have already seen the tools that allow people to work remotely, and I have confidence in them,” she said. The High Ridge House team also felt confident in Mark Anderson, principal of Anderson Technologies, who flew to New York to present the firm’s outsourced IT services. Hughes and her team also valued Mark’s ability to explain complicated IT issues simply. He identified IT security and compliance issues that needed immediate attention and devised a plan for tackling them as cost-effectively as possible. Mark and Senior Systems Administrator Luke Bragg spent a week in New York, armed with an impressive to-do list. They installed a new server, new workstations, new Wi-Fi infrastructure, new copies of Microsoft Office, custom third-party applications, anti-malware software, upgraded the firewall’s firmware, and more. They did everything necessary to get the office running smoothly, securely, and in compliance with HIPAA, often working until 2 a.m. to make it happen. High Ridge House’s guests reaped the benefits straightaway. “Previously, the Wi-Fi signal wasn’t strong in a number of rooms. Sorting that out made an immediate difference to the patients, who could then FaceTime or Skype with family and friends,” said Hughes, adding that it also improved the quality of life for the nursing staff, many of whom have family abroad. 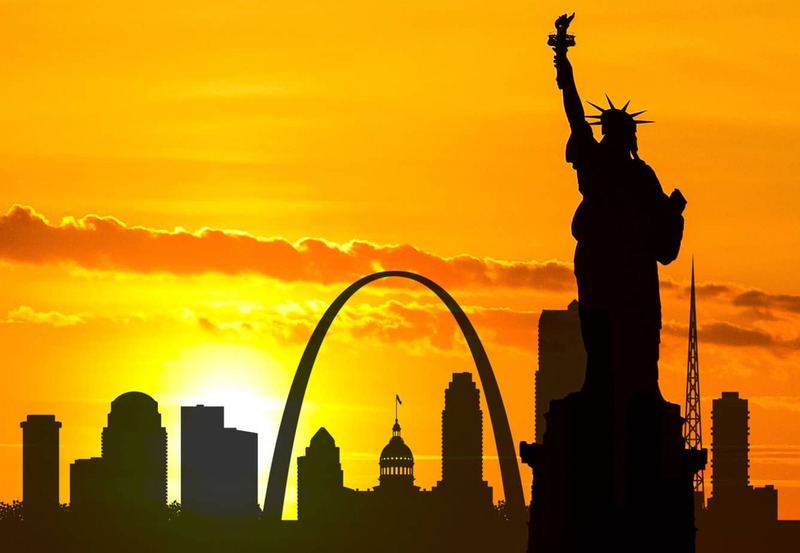 With the initial legwork behind them, Mark and his team now support High Ridge House from their office in St. Louis, although they will visit New York for check-ins. High Ridge House’s goal is to stay abreast of relevant technology and HIPAA regulation developments affordably and to plan ahead so it can avoid another massive update. Most importantly, it wants to ensure technology supports its chief mission. Anderson Technologies is a St. Louis IT consulting company that partners with local and national clients to improve the efficiency and reliability of IT functions, enhance IT security and compliance, and take a proactive approach to maintenance with a focus on cost-savings. For information about outsourced IT services, including IT security, cloud services, hardware and software acquisition, and more, call Anderson Technologies at 314.394.3001 today. An increasing number of small businesses are taking a managed services approach to information technology (IT), forging long-term, strategic partnerships with outsourced IT services providers. The global managed services market is predicted to reach $193 billion by 2019, growing at a compound annual growth rate (CAGR) of 12.5 percent, according to CompTIA’s 4th Annual Trends in Managed Services report. The survey found that the top factors driving this growth for small and mid-sized business owners are improved efficiency and reliability of IT functions, enhanced IT security and compliance, a proactive approach to maintenance, and cost-savings. When you opt for managed IT services, you don’t have to worry about your business’s ongoing technology needs or the cyber threats it faces daily. You pay a monthly fee to retain a partner who works with you, and for you, to keep your business running smoothly, safely, and in compliance with industry regulations. This is in stark contrast to the break/fix outsourced IT services model, in which you only pay an IT provider when you need something. With managed IT services, your provider works to identify problems before they happen, and in the end, saves you time and money. Just as regular maintenance checks for your car can help spot and address minor issues before they become big ones, managed services does the same for your IT needs. A managed IT services partner installs a small suite of software that allows it to monitor your devices and infrastructure remotely, no matter where you are located. 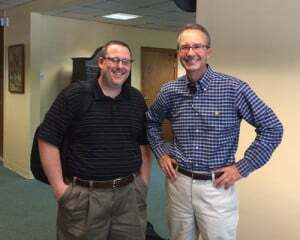 (Read why a NY-based business opted to work with a St. Louis IT company.) The software also alerts the service partner to potential issues, such as IT security threats or storage issues. This allows for proactive management. The vendor gets a complete view of your business and maintains the knowledge needed to do what’s best and most cost-effective long-term, as opposed to just plugging holes and putting out fires, which often ends up costing more in the long run. As much as we’d like IT security to be a turnkey, passive process, it’s not. It requires constant scrutiny, perpetual skepticism, and skilled intervention. Installing anti-malware and anti-virus software isn’t enough. You need to make sure the programs are updated regularly. Additionally, many take a “set it and forget it” approach to firewalls, but you must review security logs and install firmware patches routinely. Patching also requires great care while failure to do so leaves your business vulnerable. Managed IT services partners also stay informed and know when patience is needed or when additional configuration make sense. For example, not every Microsoft Windows update should be automatically installed. Someone needs to review it to ensure its applicability for your particular situation. And setting up a secure Wi-Fi network isn’t as simple as installing a box. Many small businesses don’t have the time or the expertise to tackle these ongoing tasks. Every business needs a plan for backing up its business-critical data regularly, and for firms in regulated industries, it is especially critical. An outsourced IT services partner will establish back-up procedures and audit them consistently. Are your servers, workstations, printers, and other devices performing optimally? 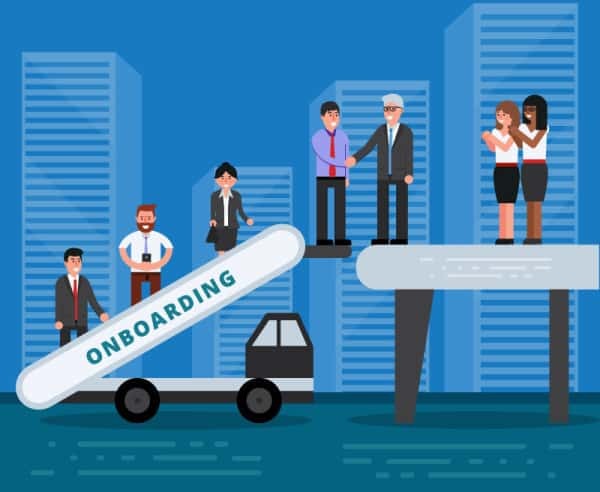 Does your business have time to manage all these elements and to handle the IT administrative components that come with hiring new employees? A managed IT services firm makes sure your team members can work productively from day one. Do you and your employees need to access work files remotely? Doing so is convenient, but it can open a host of threats to your business. An outsourced IT services partner will make sure you have a plan for remote access and data sharing that is as secure as it is easy to use. 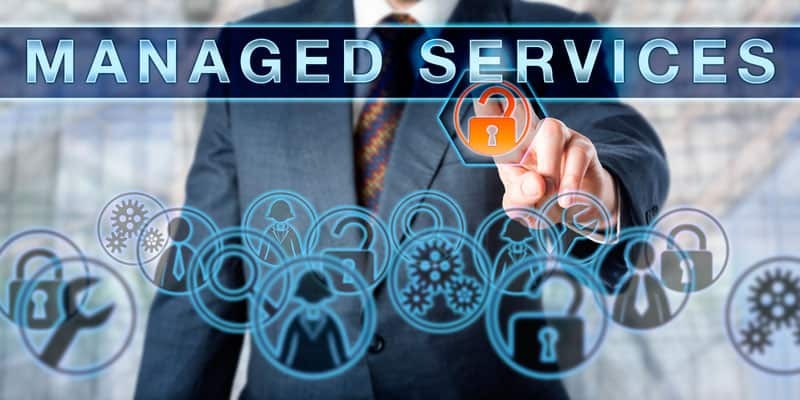 A managed IT services company will help you stay on top of industry regulations, such as HIPAA or financial legislation, so you can rest assured you are in compliance. Maybe you’ve accidentally deleted a week’s worth of work or clicked a link you shouldn’t have. Maybe you’re having trouble printing or even lost your connection to the network completely. Every professional has experienced that quintessential moment when you need help now. With managed IT services, you’ll know whom to call and be confident you’ll get the help you need quickly from someone who understands your business. Your outsourced IT services partner should be able to explain IT issues to non-technical people. It should also have a plan for consistent communication. Anderson Technologies, a St. Louis IT consulting company and managed IT services provider, runs ongoing reports assessing the status of its clients’ infrastructure and devises plans for improvement. Call 314.394.3001 today to learn more.